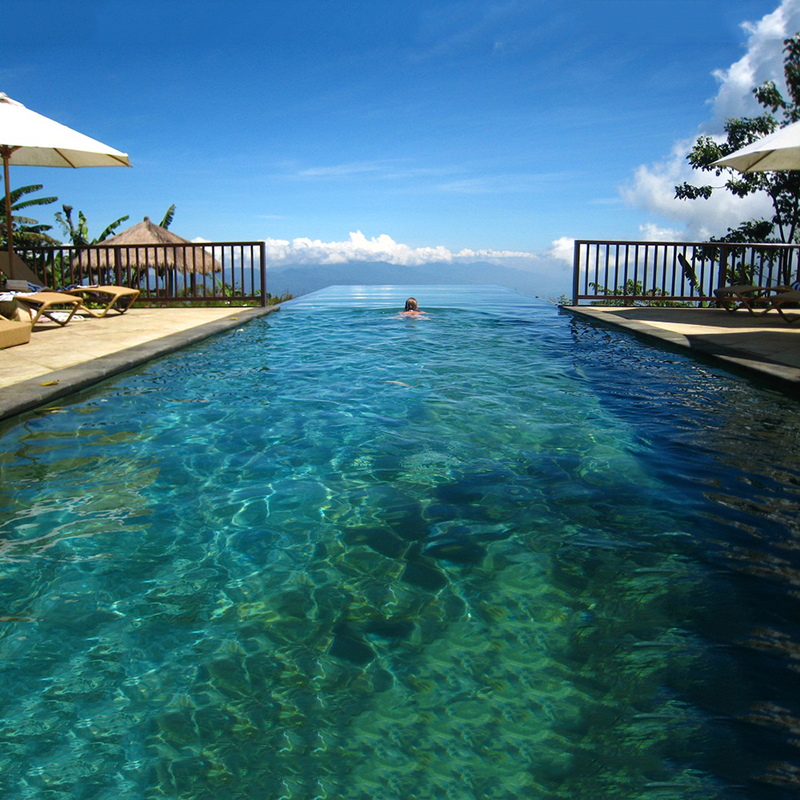 Bali is well-known for its unrivaled natural beauty. 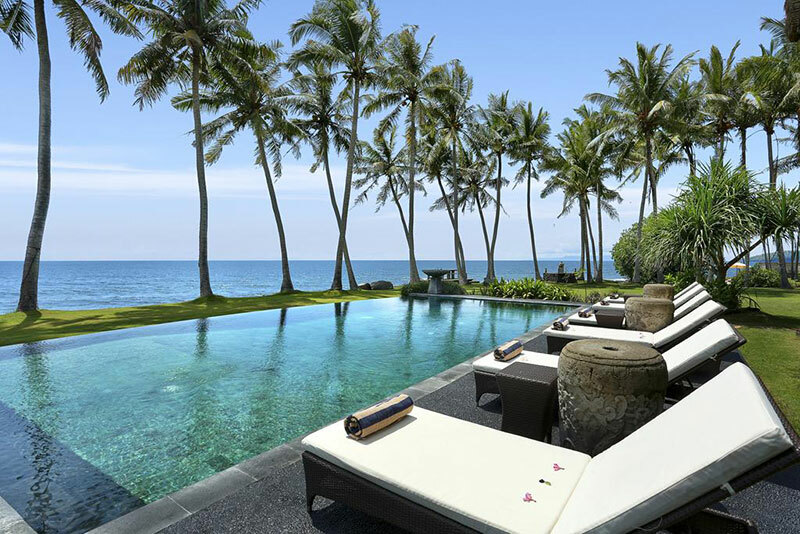 Pristine beaches, spectacular cliffside, mountainous and ocean views, coupled with vast paddy fields and lush forests – you name it, and Bali will not disappoint. What’s more – do you know you can actually enjoy the views of this gorgeous landscape from the comfort of your villa? 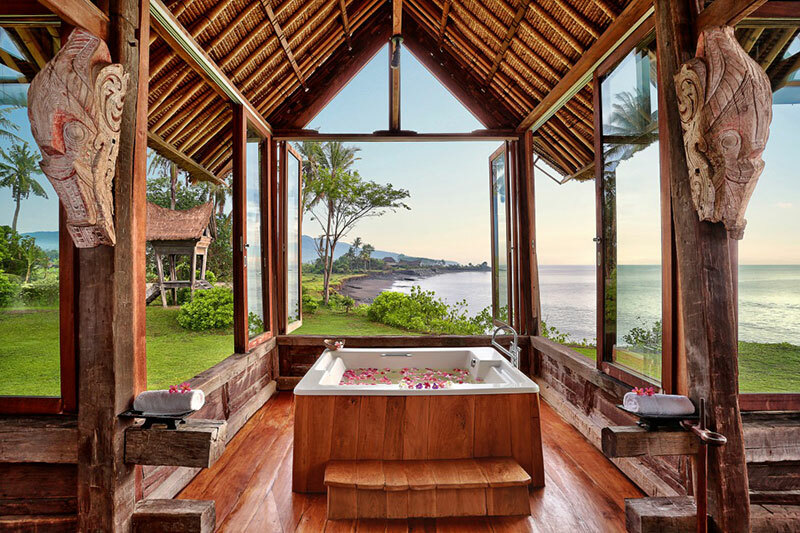 We present you the island’s best rooms with a view – be prepared, ’tis not for the faint-hearted! 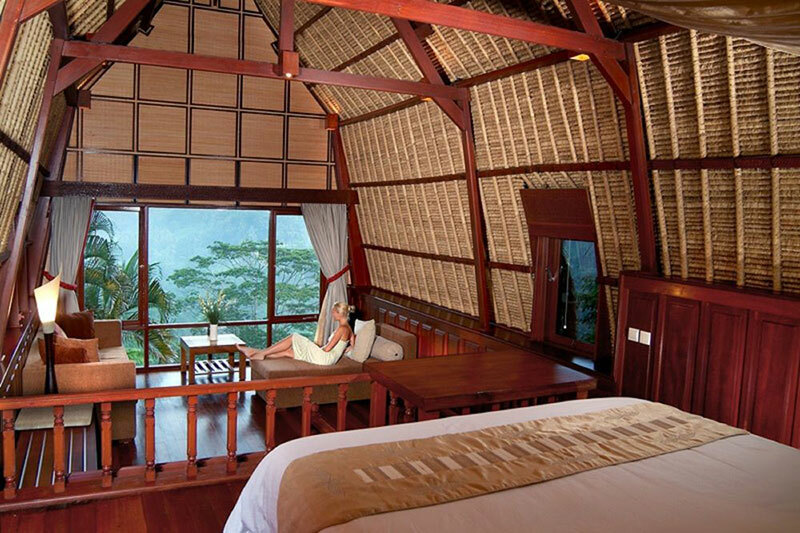 From every room at the Saranam Resort and Spa, you can wake up every morning to mesmerizing views of rice paddies and surrounding mountains. As each room is equipped with its own balcony, the first thing you’ll see are lush, emerald-hued hillsides spreading out far and wide. 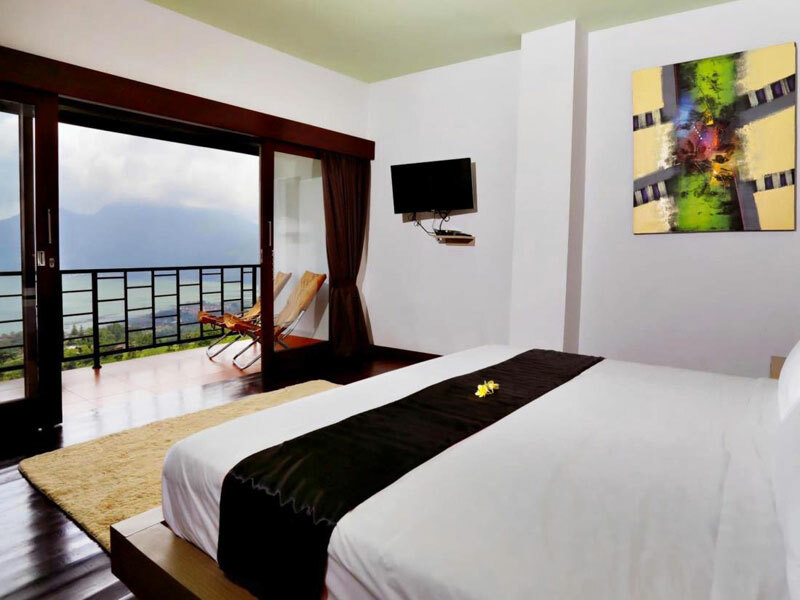 These delectable mountain view rooms offer a classical touch of elegance, with a luxurious feel and rich colour schemes. 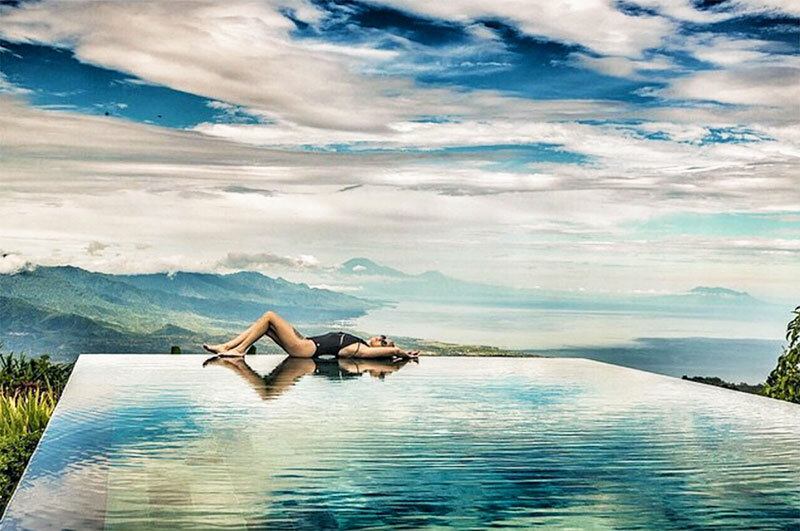 Located in mid-northern Bali, this stunning location provides cooler and more refreshing temperatures than the south. The hotel is nestled on a steep hillside, with a funicular to take guests up and down the incline. If you’re feeling peckish, L’Altitude Restaurant provides sweet treats at their afternoon tea setup. You can also try Café Toya’s succulent selection of tapas, snacks, fresh juices, and special wellness diets. 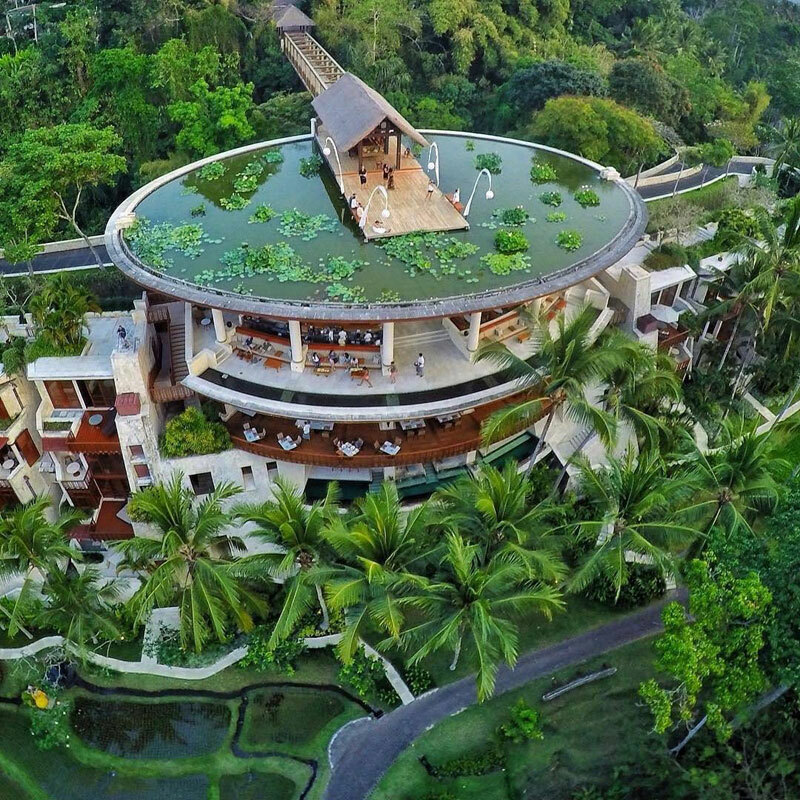 Daily activities are not in short supply – Saranam Resort and Spa is located less than than 10km away from unforgettable adventures such as the Bali Treetop Adventure and Ulun Danu Bratan Temple! TripCanvas Tip: This hotel is currently undergoing major revamp, so some parts of the property might still be under construction. Please contact the hotel to check before you book to ensure that your room is far from the construction. 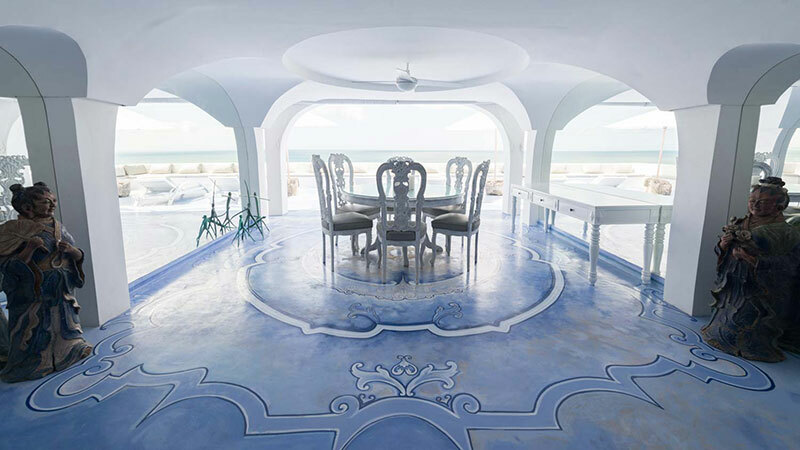 The latest find we’re obsessing over, Morabito Art Cliff is here with their very own version of Santorini. Yes, there’s no need to pay a hefty price for a flight to Greece – all you have to do is head to Bali for a taste of Greece’s famed island! 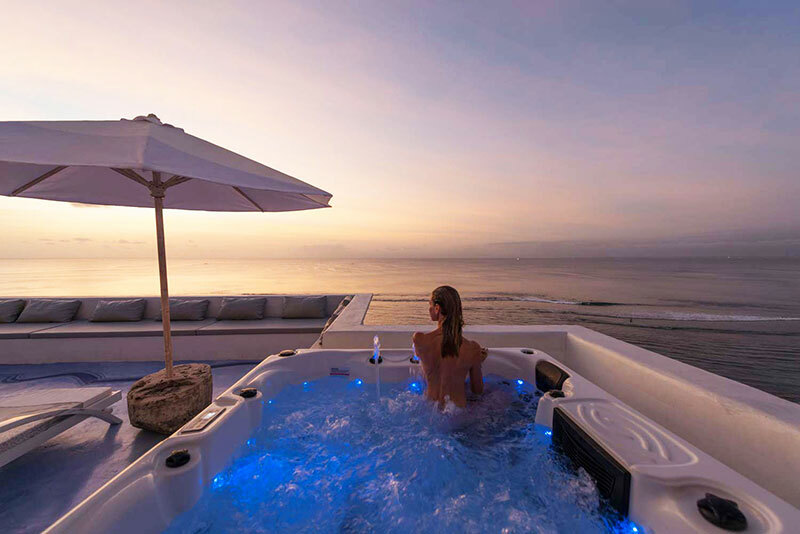 Laze the day away in a jacuzzi tub facing the sapphire oceans by day, and by night enjoy the cool tropical ocean breeze in the LED-lit tub. 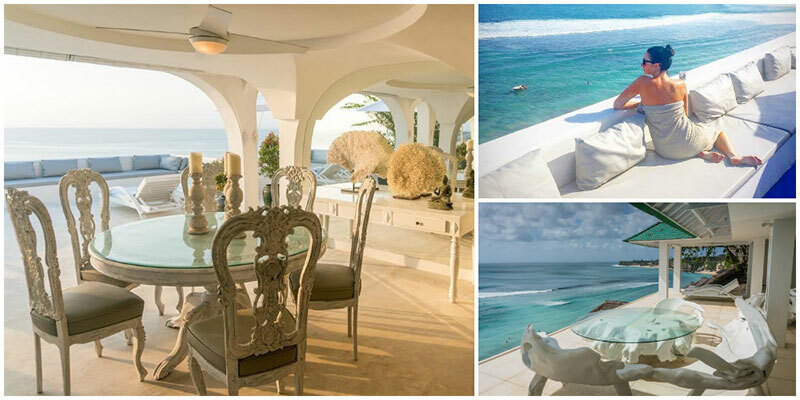 Great for couples who’re longing to truly get away, Morabito Art Cliff indulges your senses in every way. And just so you know, they also have accommodation that transports you to Marseille (France), and more! 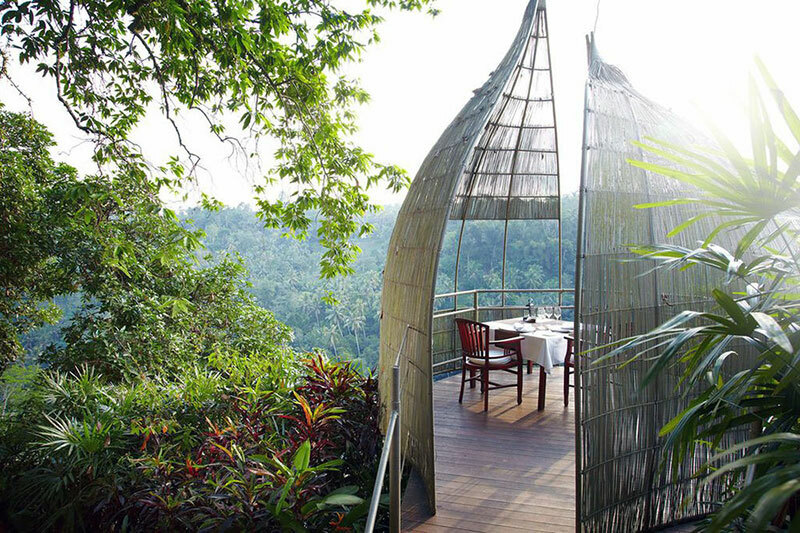 Calling all jungle fans – Balinese luxury isn’t just about the beach anymore. 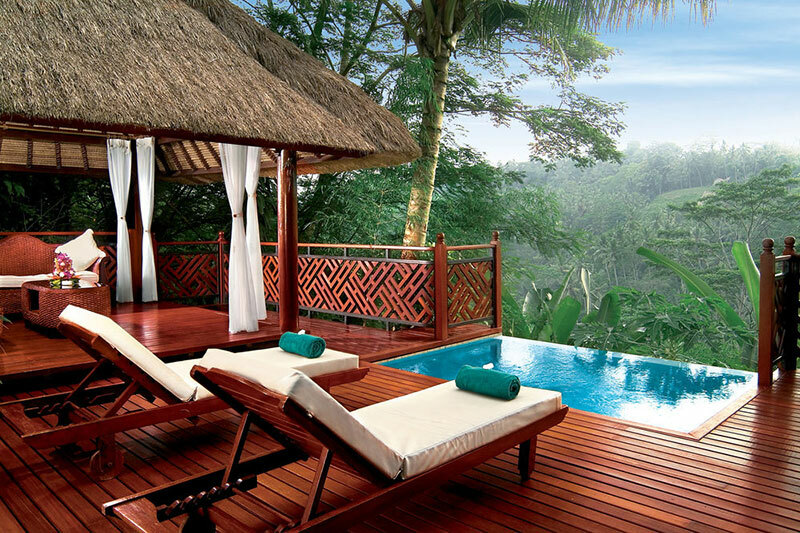 If you’re happiest among beautiful greenery and rushing rivers, Four Seasons Sayan, which is nestled deep in the lush rainforest, will be your perfect oasis. If you’re travelling in a group or with the whole family, the Riverview Two-Bedroom Villa is the perfect choice for the best unification of privacy, luxury, and space. 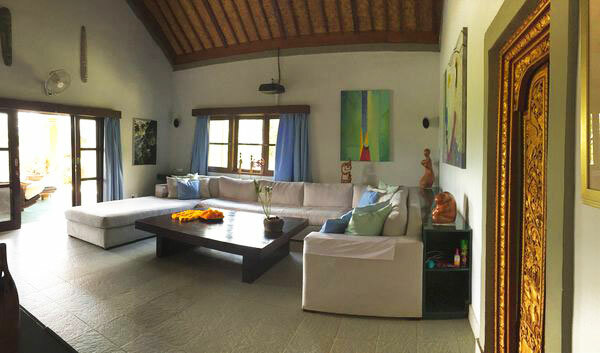 This astounding villa offers both a personal lily pond and a private meditation area, for the zen-lover in all of us! Wake up to a sumptuous breakfast by your private plunge pool and spend warm, sunny afternoons floating in the pool as you enjoy the peaceful view of rice paddies and the Ayung River as it softly rushes past. 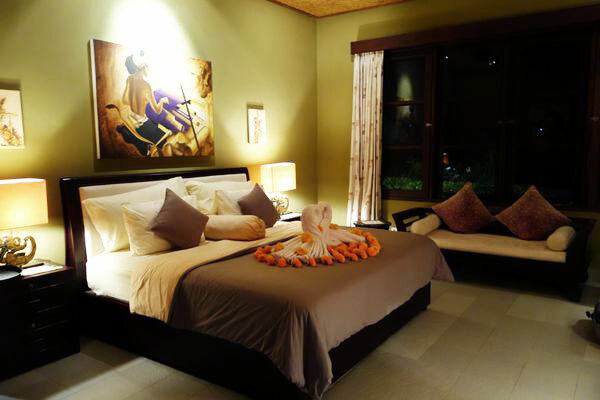 If you’re here with just your sweetheart, you’ll love the romantic Riverfront One-Bedroom Villa. Whether you’re cuddled up close under the sheer, gauzy overhead canopy on the king-sized bed, or taking advantage of the sumptuous outdoor shower, we’re sure you won’t regret your stay! And when you finally feel like venturing out of your private villa, don’t miss the main infinity pool and the lotus pond. 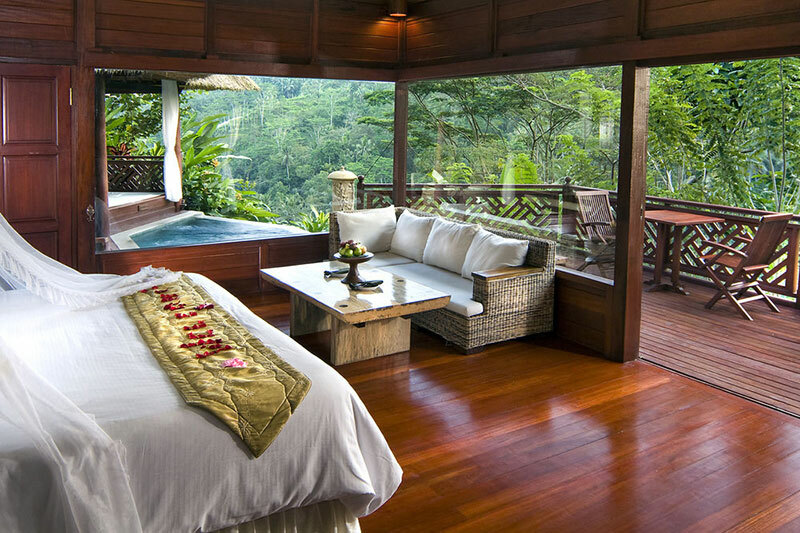 End your day at the luxurious Sacred River Spa, where you can enjoy treatments that incorporate spiritual traditions such as Chakra balancing and Balinese Ayurvedic practices, do yoga, and still indulge in the stunning views of lush jungle and the Ayung river. And when you’re feeling peckish, simply drop by the Ayung Terrace or Riverside Café, where you can dine and unwind right beside the gentle river. Don’t forget to keep active amongst nature by joining the cycling tours, private rafting and trekking activities! 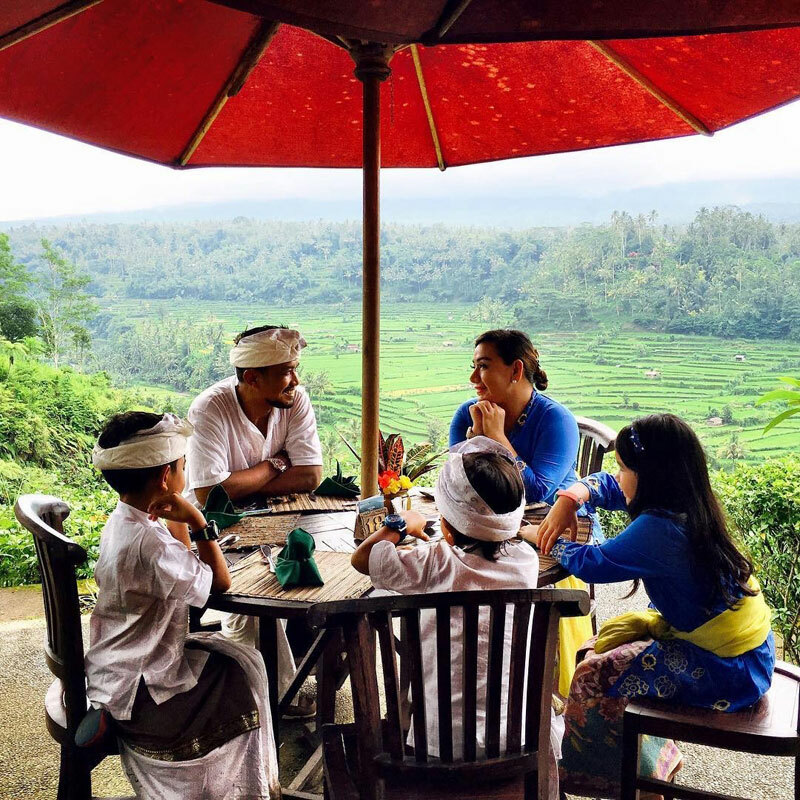 Do you also know that the the honey you tasted in any of the restaurants are made from a bee conservation programme that Four Seasons Bali teamed up with Plan Bee Indonesia to launch? This consists of new bee hives, each home to a queen and some 10,000 workers. 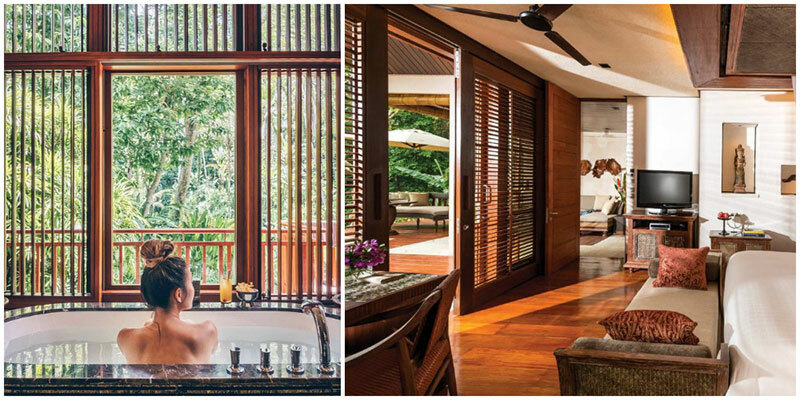 At the end of your stay, we guarantee you’ll be thoroughly refreshed – in both body and mind! 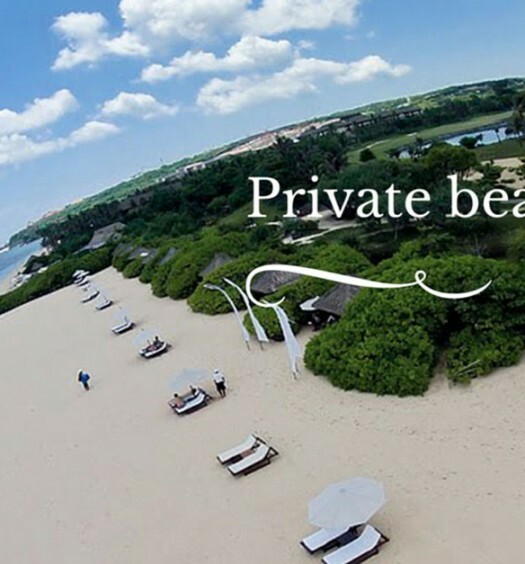 This magic extends beyond its signature view. 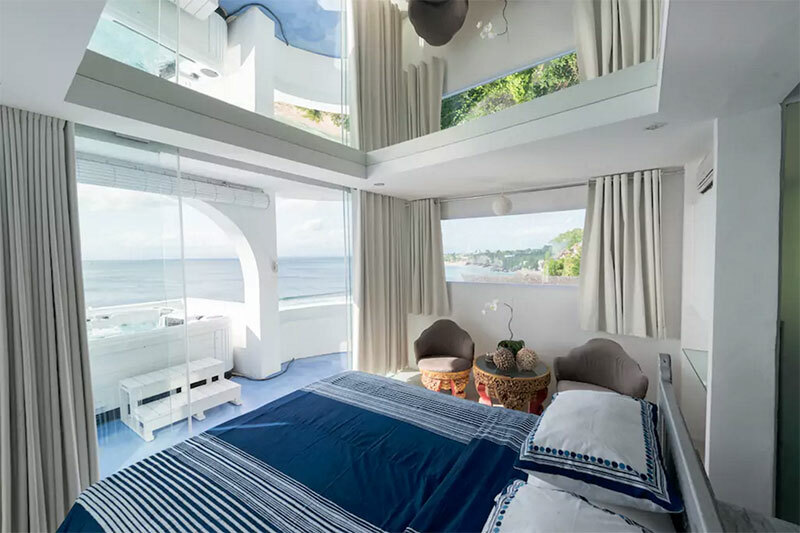 Designed by an award-winning Bali architect Popo Danes, the traditional Balinese interior has been dabbed with a blend of modernism in this secluded resort that only has nine villas and three suites. 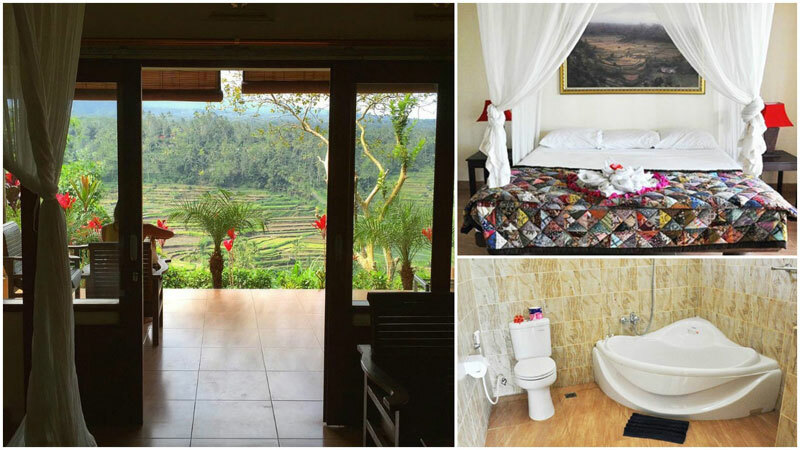 From your room, you can open the glass panel doors to take in the breathtaking view of the coffee plantation nestled in the lush foliage of the jungle. 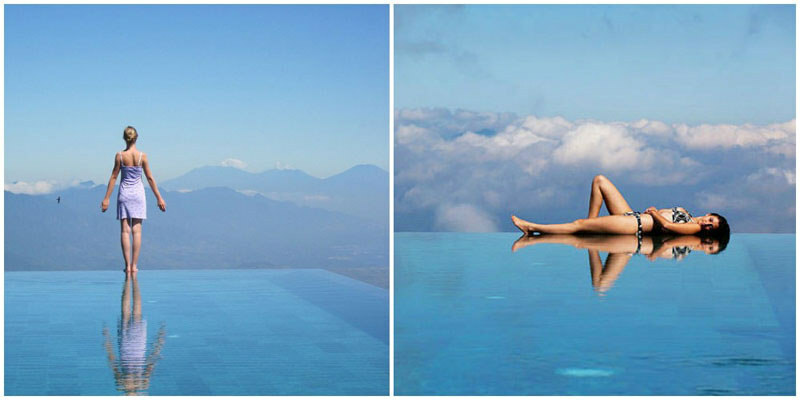 The Cave Hotel features dramatic views over the sacred Kintamani Volcano in the heart of Bali. 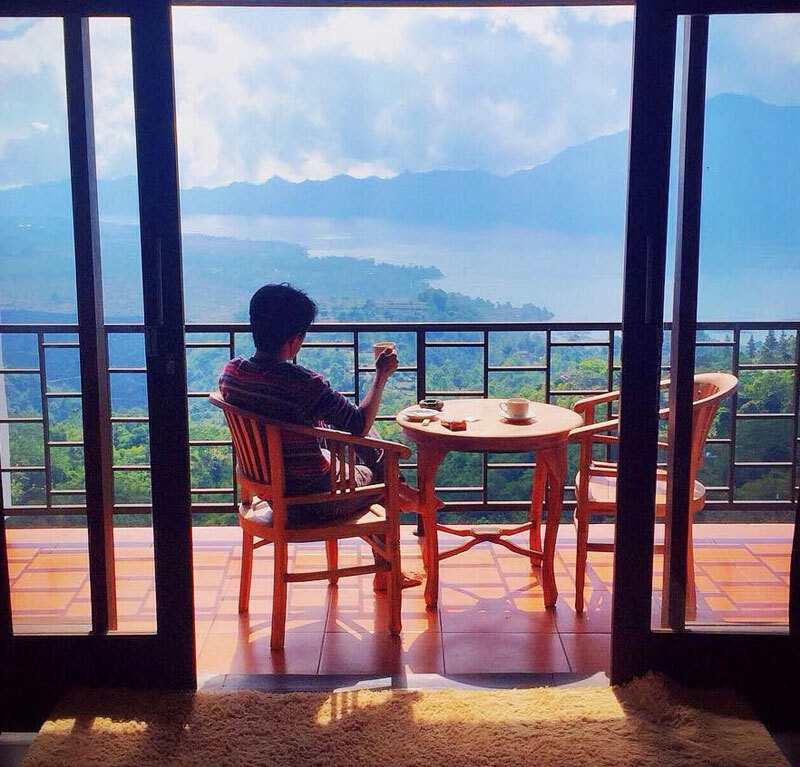 Breathe in the fresh mountain air, watch the majestic mountains rise high above the tropical landscape, out of the early morning mist from your private bedroom suite at The Cave Hotel. 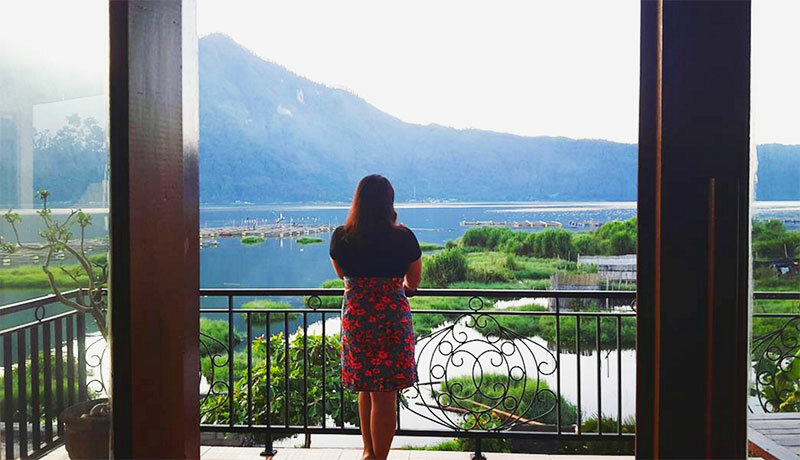 You can just gaze at the mountain view all day long from your private balcony, watching the colors change as time passes from dusk to dawn. 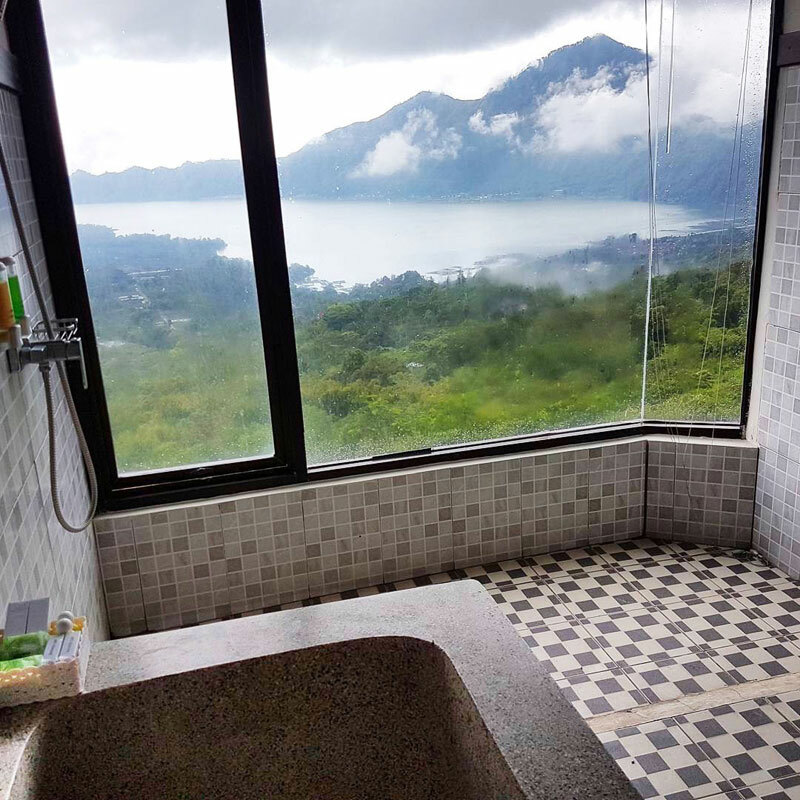 Even the bathrooms come with a view! The deluxe suite is fitted with a large soaking bathtub, where you can bathe in luxury to the magical mountain view with a glass of champagne in hand, celebrating the good life with your loved one. 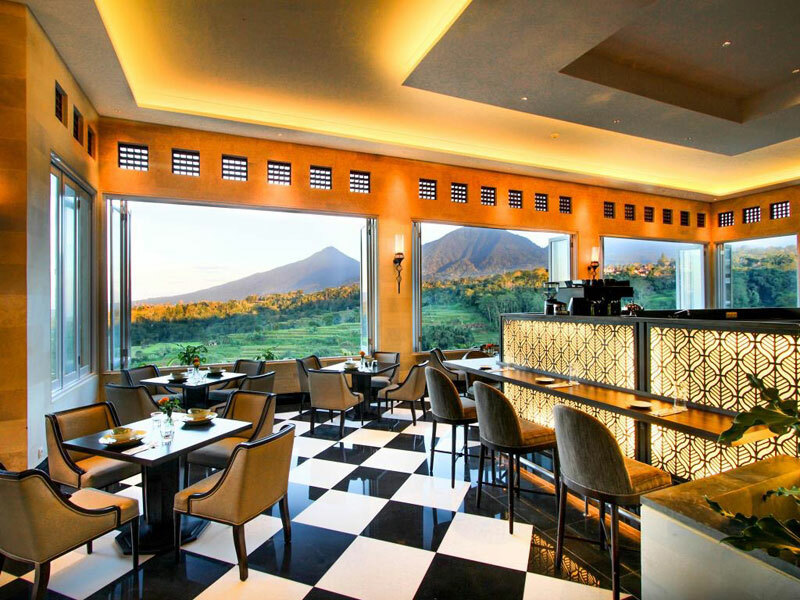 In the morning, enjoy breakfast with a mountain view. No better way to start the day! 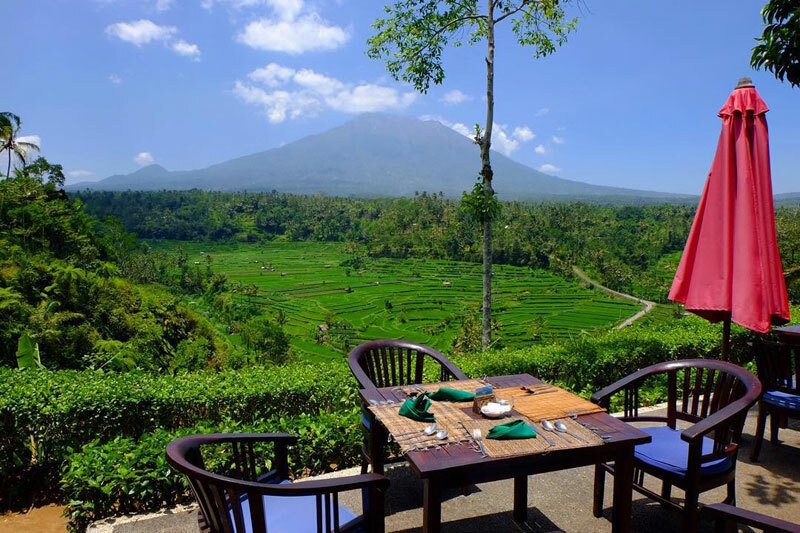 Mahagiri Restaurant and Resort overlooks an extensive rice paddy valley, bordered by the holiest mountain in Bali – Mount Agung. Truly a spectacular sight to take in! 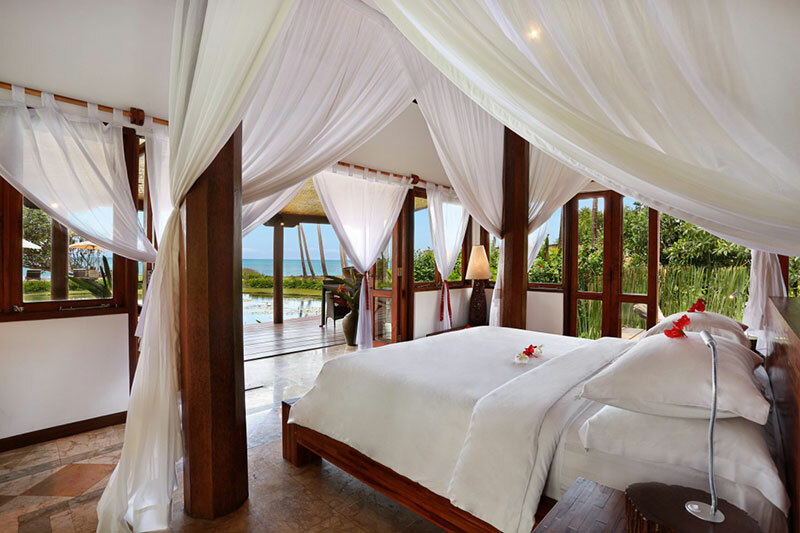 Do remember to opt for the Terrace View room to enjoy this stunning view from your bed. 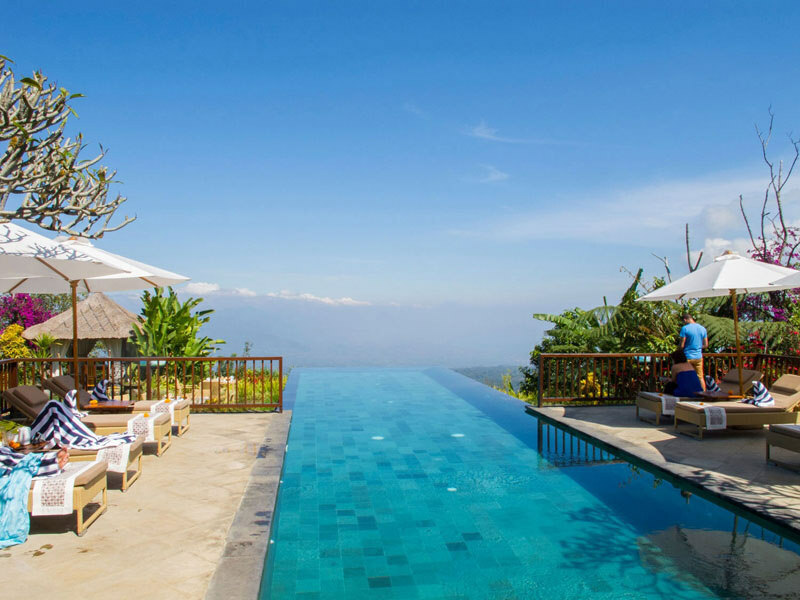 The resort’s restaurants and swimming pool are the best places to spend the day at, where you can enjoy quality time with your loved one while being surrounded by Bali’s natural beauty. And after a long day out, it’s time to retreat to your cosy bedroom suites, where you can rest up and recharge for another splendid day ahead! 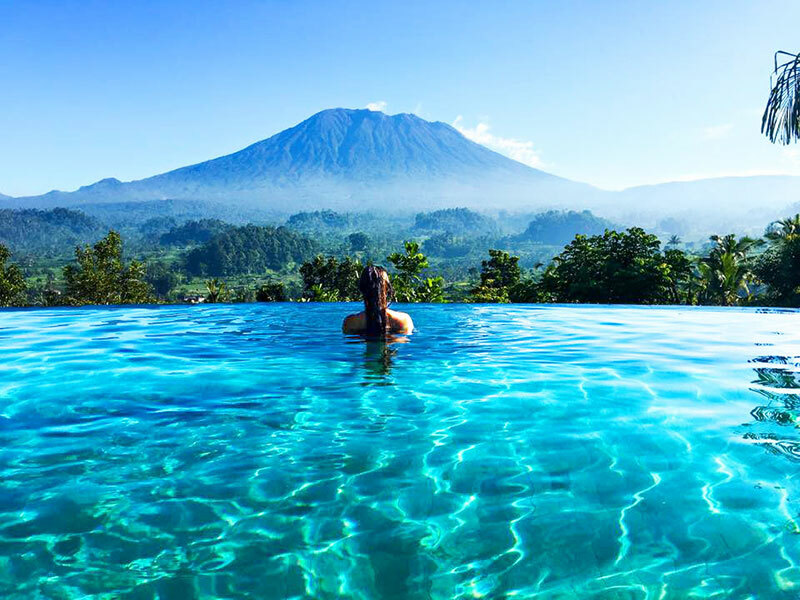 Bali is not only home to pristine beaches, but also to dramatic volcanoes – both active and extinct. 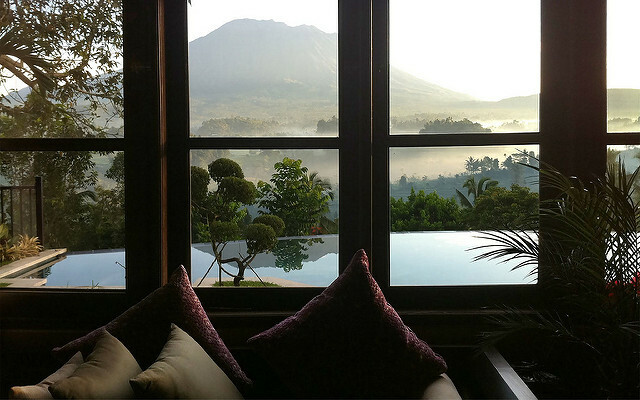 And how indulging would it be to wake up to a climatic view of the volcano? 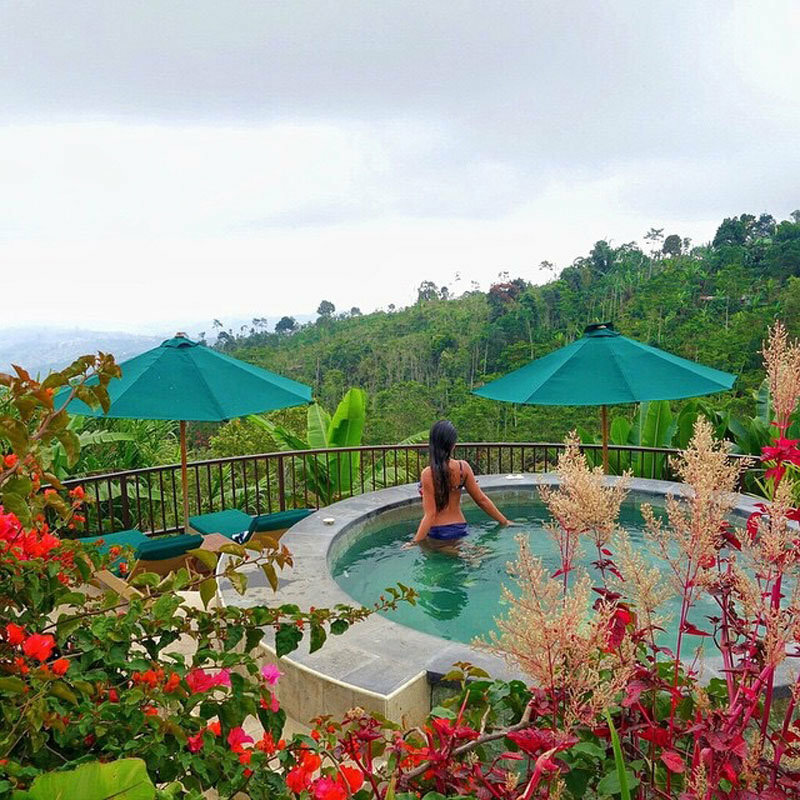 You can do just that at Villa Sidemen, where guests are not only treated to the majestic view of Bali’s tallest volcano, Mount Agung, but also to a peaceful scene of its fertile foothills and rice paddies. With the large windows, you can be sure to be able to enjoy the view from the living room, or even while you’re still snuggling in bed! Different stunning views from both the frontyard and backyard can only be found at Villa Campuhan, a collection of privately owned villas. There are 5 different types of villas for you to choose from: Villa Tuman, Villa Jasi, Villa Lumbung, Villa Agung and Villa Selak. 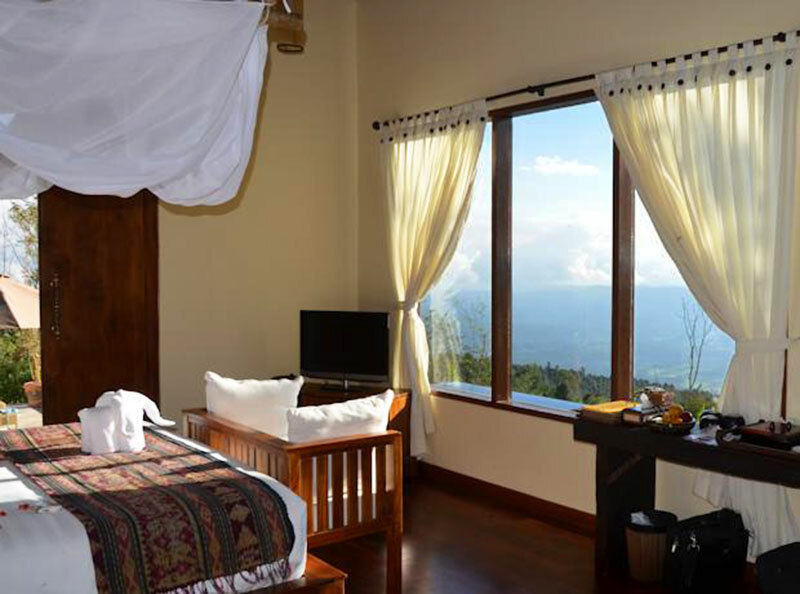 One of the highlights is Villa Agung’s unbeatable Mount Agung view. Imagine being able to wake up to this view! 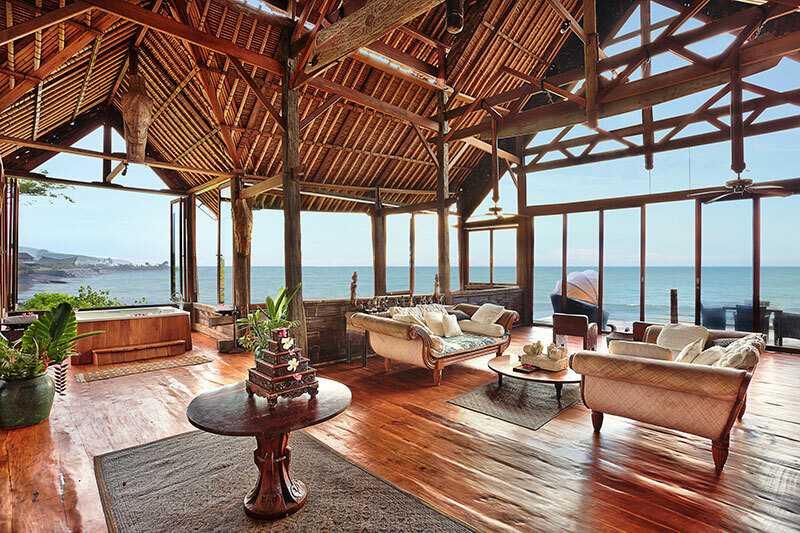 This uniquely designed Sumatran rice barn villa constructed at the ocean’s edge allows you to have a unobstructed 180˚ ocean view too. 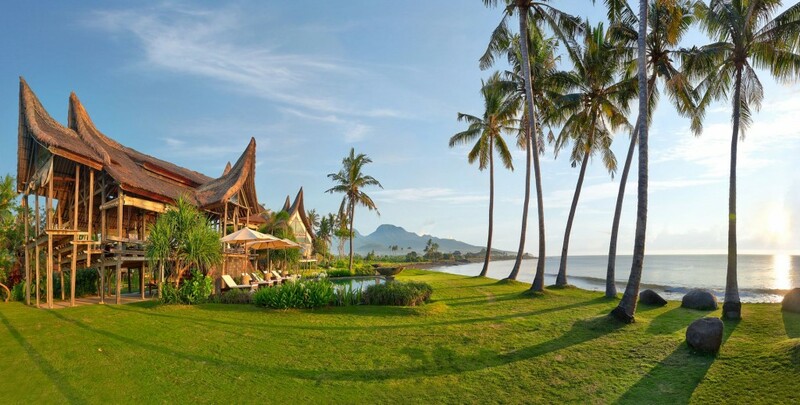 If you opt for Villa Selak, you will get a peaceful lotus pond view overlooking the ocean. 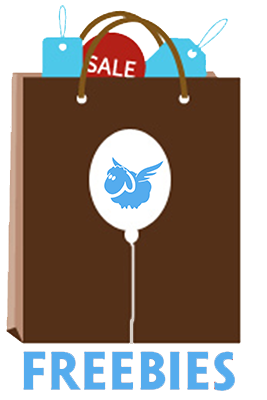 Furthermore, you’ll be treated like royalty as the staff tends to your every need. Rates start at USD$170 per night. 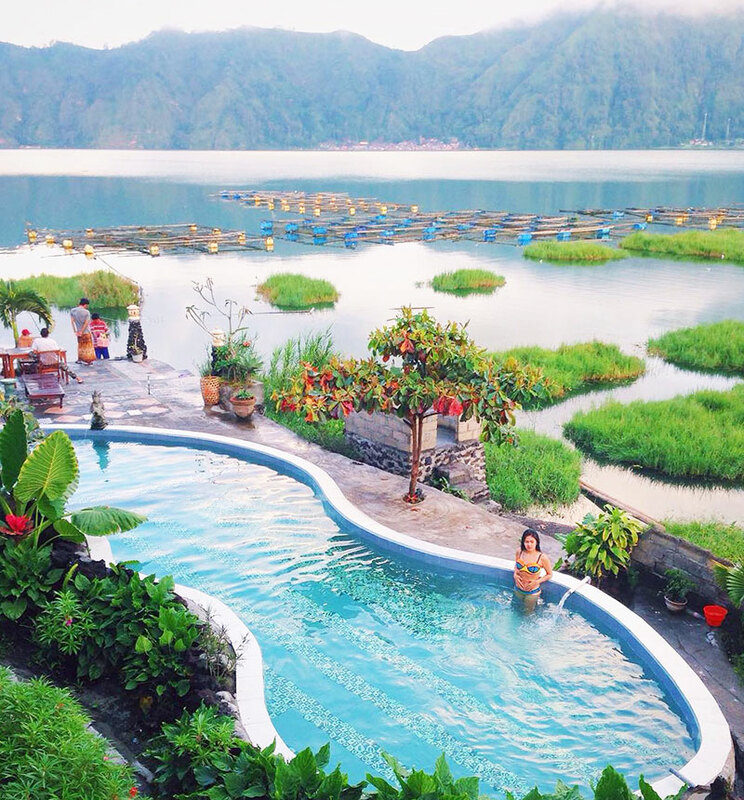 Forget the world class resort pools for a minute and get on to Lake Cottages at Kintamani to enjoy what a real Balinese pool dip should be like. 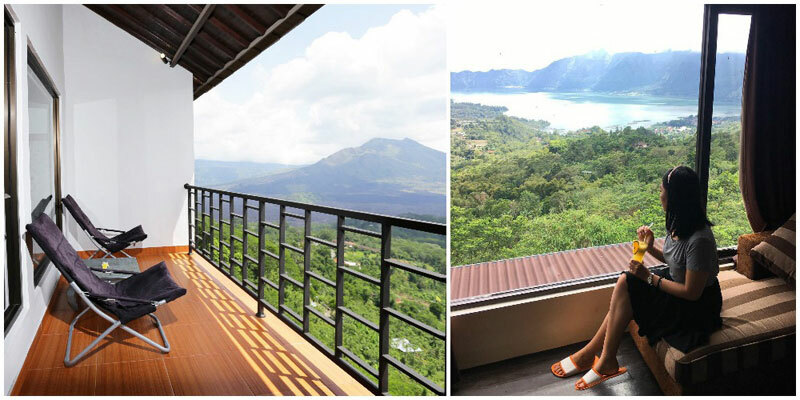 Tucked on the foot of Mount Batur, this budget lodging overlooks the lake with a full mountain view. We love that the pool itself is well-situated where you can get the direct front seat ( or dip) while taking in the scenery right in front of you! 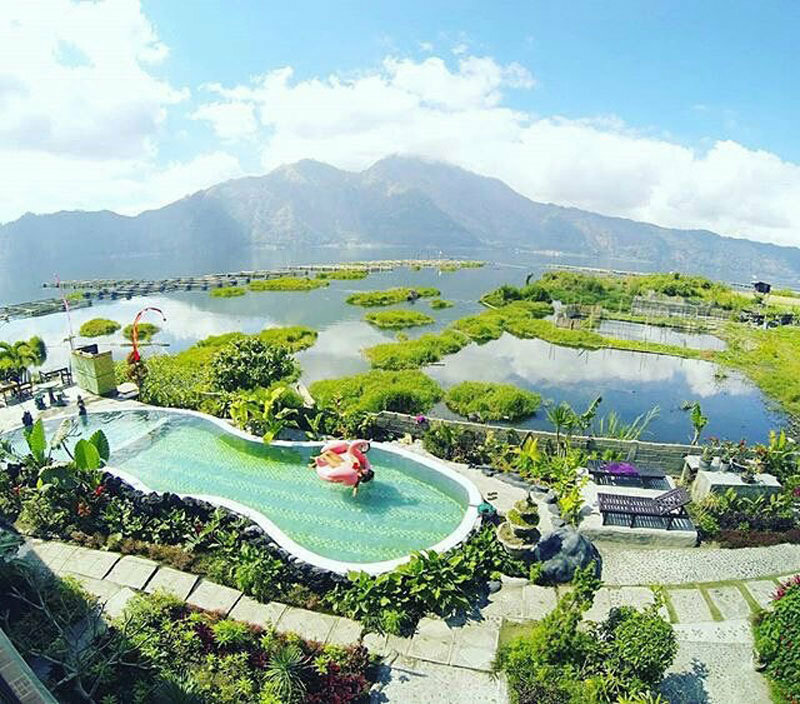 The sky above, the freshwater pool and top view of Lake Batur only add to the overall serenity in your getaway. Accompanied with a drink in one hand and a camera in the other, lounge in style as you take in the exuberant Bali atmosphere. 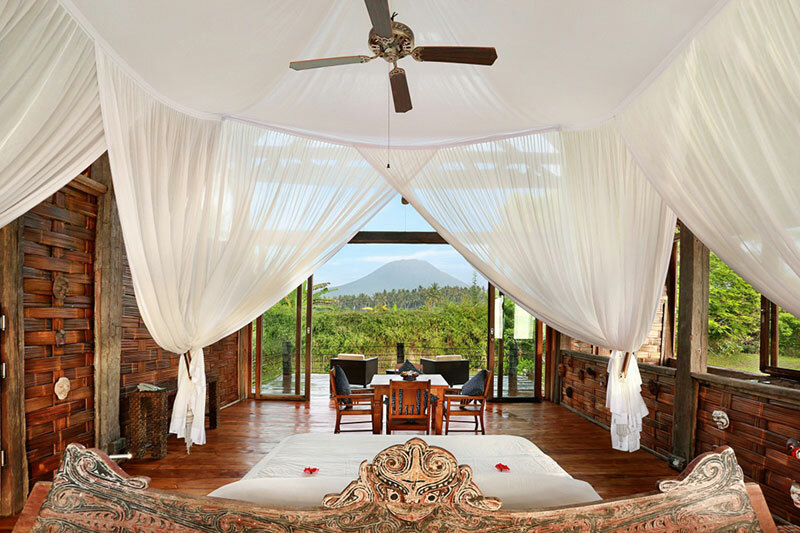 Choose the villa with a poolside view (your own private pool) overlooking the rice fields and a stream, with the sound of the calming trickling water serenading you to sleep. 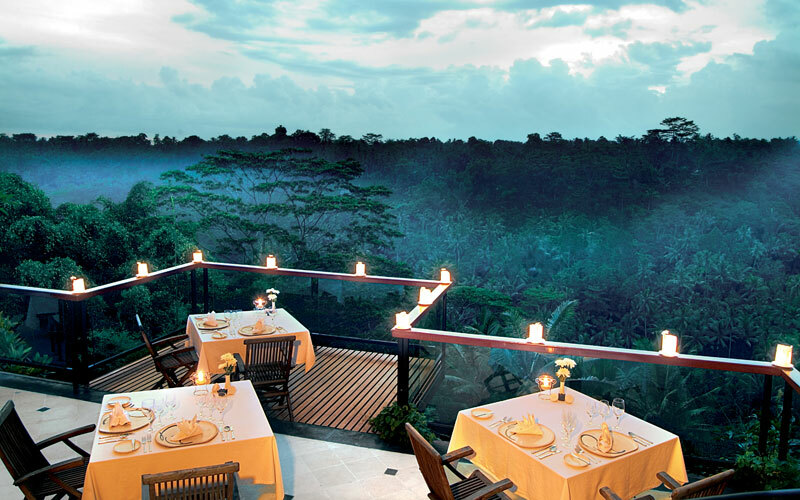 This is a peaceful haven where you can indulge in fine dining while enjoying the amazing views. You can even hold a wedding at the lobby pond! 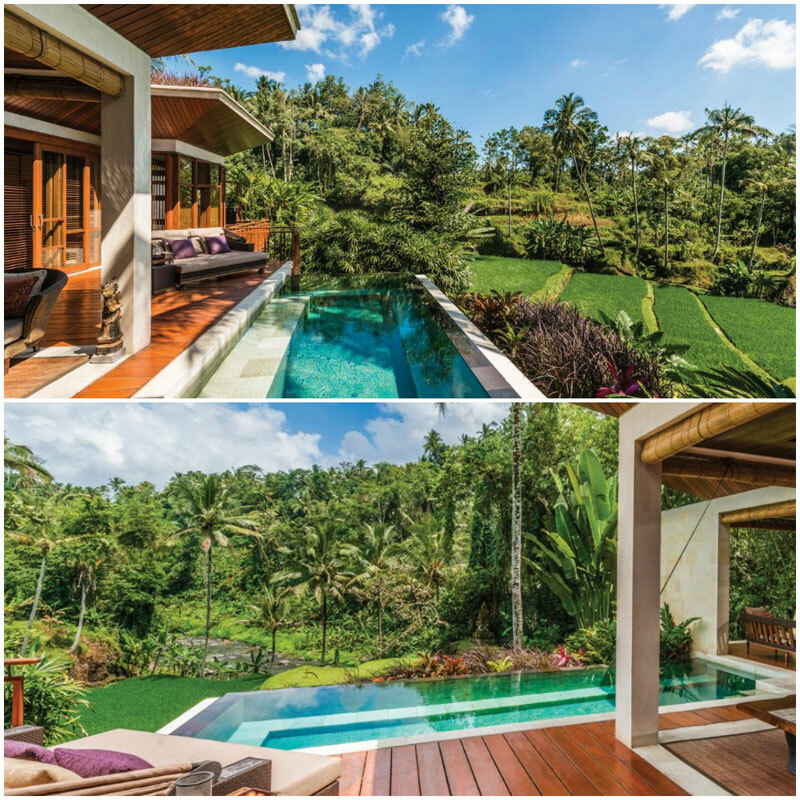 Location: Kedewatan, Ubud, Bali, Indonesia. 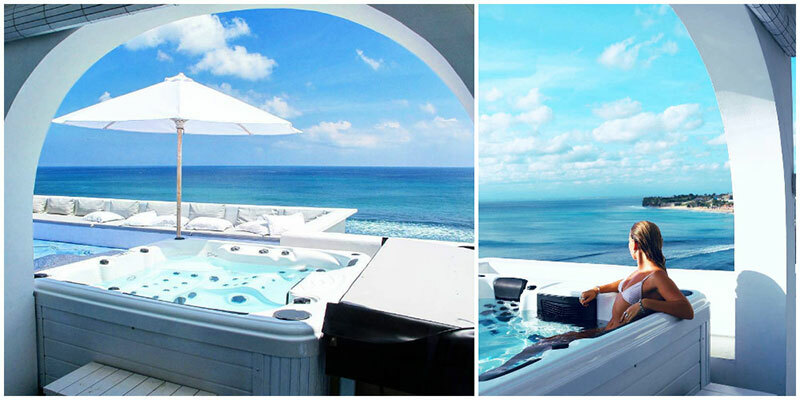 Know of any other hotels or villas with the best views of Bali landscape or seascape? Share it with us!